Nothing is more frustrating than having an ignition problem first thing in the morning. You wake up, get ready for the office, rush to your car and turn your car key just to get nothing other than a roaring engine. Think of how much time you will waste trying to check the cause, calling a mechanic and a taxi. However, knowing the cause of the problem is the first step towards fixing the problem. 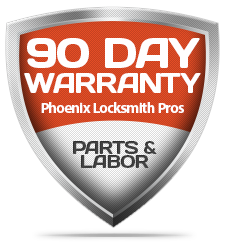 Calling Phoenix Locksmith Pros is your next step. Most ignition problems are associated with the manufacturer’s own fault. A faulty fuse for instance can stop working after a while causing you ignition problems. Most of such issues can be fixed by the manufacturer if your car is still under warranty period. If you experience the problem at the expiry of the warranty period, a local locksmith can fix it at a fee. Sometimes while in a rush to a place, you might find yourself inserting the wrong key into the key way. This can also happen if a burglar tries to steal your car using the wrong key. 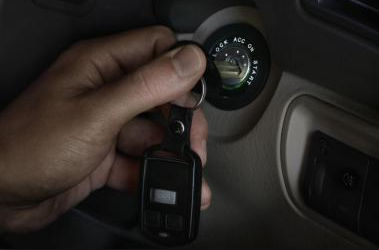 If this happens, never try to forcefully pull the key out as it can cause some irreparable damage to your ignition system. Call a locksmith immediately and have the problem sorted out professionally. The performance of your ignition system is determined to a large extend by how clean the metal contacts are. The burnt carbon produces soot which can easily coat the igniter particularly if there is insufficient air for instance when the engine is primed too much or set too richly. Thus, for optimal performance, ensure that all the metal contacts in your ignition system are clean and dry at all time. Hence, always remove built up carbon using sandpaper or any other dry material. After removing the built up carbon, ground the igniter and the plug, roll the engine over and observe the spark that is produced which should be blue in color. Like other parts of the car, keys are prone to wear and tear and most cases, keys are the more affected by corrosion than other parts of the car. When keys are subjected to depreciation, they lose most of the material and their effectiveness declines gradually to a point where they stop working completely. In this case, contact a locksmith and have the keys remade to increase their effectiveness and functionality. Also, worn out wafers can cause major ignition problems. Each key is designed with a set of wafers indexed with the cuts on the keys. If these wafers become worn-out or packed with dirt, they cause the switch to fail. In such a case, the switch can be repaired by a professional without having to replace the entire ignition system or simply cleaning the individual wafers. Water is an important requirement in normal functioning of the ignition system but it can be a nightmare when it gets in the wrong places. Condensation on metal parts, a common occurrence when a hot day is followed by a cold night is known to make water combustion difficult in the ignition system. When this water combines with traces of carbon, an electric fault can easily occur causing ignition problems. Thus, always ensure that the magnetos, igniters, and plugs are covered with a plastic material to ensure that the water and dew form on the plastic instead of forming on the metal part. Also, always keep the cylinder drained to prevent water pool from forming on the cylinder. This is one of the most dreaded ignition problems. The cause is not clear but the malfunctioning implies that the computer chip has totally lost its programming or is not functional thus affecting the ignition system. The common remedy to this problem is either re-program the existing key, to duplicate the cuts in the existing keys or to program a new key. This is something that can be done by your manufacturer if your warranty period is not expired or any locksmith. This can happen to anyone particularly to first time car owners. 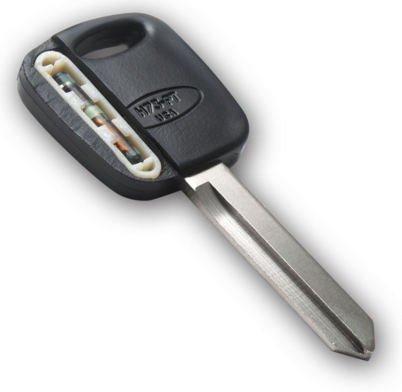 If you insert a foreign object or a broken key, don’t try to remove the object, call a locksmith immediately. In most cases, this is a problem can be fixed without replacing the entire ignition. 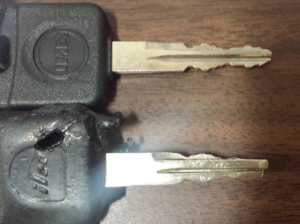 These are just some of the common ignition problems you might face at some point. Although some are preventable, other can happen regardless of how careful you are. The important thing is to know what to do in such cases, to solve the problem and not worsen it, and that would be to call Phoenix Locksmith Pros today!